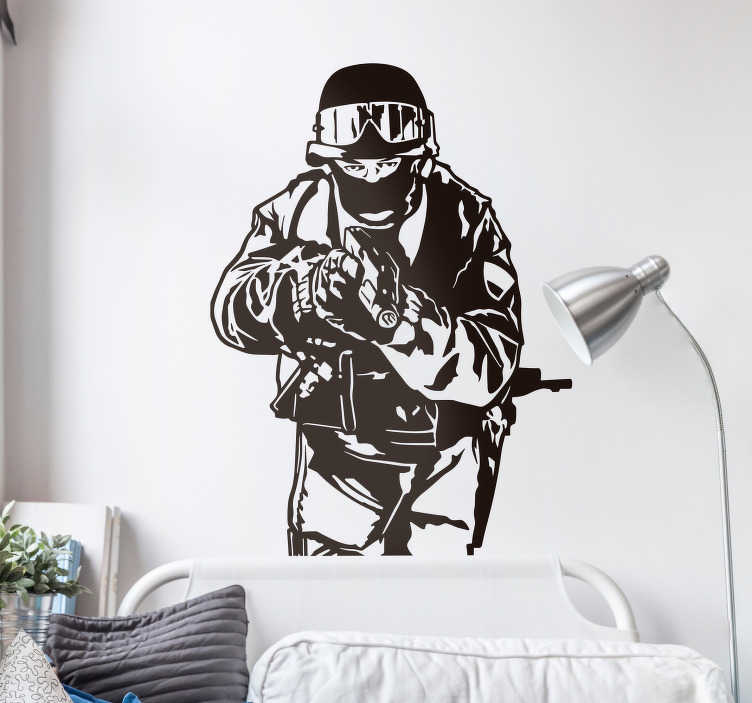 Swat Team Wall Sticker - Illustrative wall art sticker that shows a member of a SWAT team member holding a gun and ready to put it all on the line. A Silhouette decal that looks great anywhere in your home. Remind yourself of the great work the SWAT force do to protect our society. Also a cool wall sticker for your own or your child´s bedroom. You can customise both the colour and size of the SWAT decal to suit your surroundings. Our Silhouette wall stickers are made from high quality, anti bubble vinyl and leave no residue on removal.